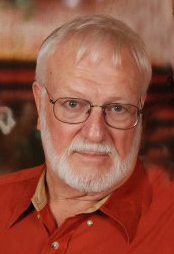 Jesse Simmons Obituary - Newport, Arkansas | Jackson's Funeral Homes Inc.
Mr. Jesse D. Simmons, Jr., of Newport, Arkansas departed this life on Tuesday, January 8, 2019, at the age of 77. He was born March 5, 1941 in the Fitzhugh Community of Woodruff County, the son of Jessie, Sr., and Gertie (Neuhaus) Simmons. Mr. Simmons loved to work, and always had a plan to move forward. He was known as the Snap-On Tool man for 20 years before becoming the Spice Man the past 14 years. While running his Snap-On Tool route, he would drop off his special mixtures of spices to his customers. With the help of those customers, the What’s This!!! Spice Company was born. Mr. Simmons was a member of the Holden Avenue Church of Christ. Mr. Simmons is survived by his close friend and companion, Lynda Sampson of Newport; two sons, Jesse Simmons III, (Michelle) of Cord, and Roger Simmons (Donna) of Newport; one daughter, Margaret Booker (Mike), of Cabot: nine grandchildren, Dawn Booker Cantrell (Heath), Micheal Booker, Jesse Simmons IV, Justin Simmons, Whitney Reesor (Clint) , Jaxx Simmons, R.J. Simmons (Stephanie), Katelyn Simmons, and Ethan Simmons; seven great grandchildren, Remington Cantrell, Drake Cantrell, Caliber Cantrell, Daisy Cantrell, Dixie Booker, Mason Simmons, and McKinley Simmons; the mother of his children, Ollie Simmons; his salesman and friend, Glenn Mayher; special office manager, Mary Fick; and a lifetime of family and friends. Friends may visit at Jackson’s Funeral Home, Friday, 6:00-8:00 p.m. Funeral Services are 1:00 p.m. Saturday, January 12, 2019, at Holden Avenue Church of Christ with Mr. Ryan Wilson officiating. Interment will follow in Augusta Memorial Park Cemetery. Those honored to serve as pallbearers are Jesse Simmons, III, Roger Simmons, Micheal Booker, Mike Booker, R.J. Simmons, Jesse Simmons, IV, Justin Simmons, Ethan Simmons, and Jaxx Simmons. Honorary pallbearers are Bobby Bowen, Clint Reesor, Heath Cantrell, Jeremy Sampson, and Jeff Sampson. The Simmons Family request memorials be made to The Bioartificial Kidney Project at https://pharm.ucsf.edu/kidney or a charity of your choice. Arrangements by Jackson’s Newport Funeral Home.